We LIVE UNITED when we Give, Advocate and Volunteer. Thousands of United Way volunteers lend their time and talents in support of our important work. United Way of Delaware will work with you to find a volunteer opportunity that advances your humanitarian goals, while supporting your community and strengthening your team. You will see firsthand the impact a partnership with United Way makes. Underneath everything we are, underneath everything we do, we are all people, connected, interdependent, united and when we reach out a hand to one, we influence the condition of all. That’s what it means to live united. Discover meaningful ways to have an impact on your local community. Volunteering through United Way of Delaware is a great way to give back and meet your peers. Get involved in helping some of the most important issues facing our community today. Children who do not read proficiently by the end of third grade are four times more likely to drop out of high school as those who read proficiently. Help us improve our kid’s literacy scores and their reading capability. Commit to reading to students for one hour at a local school. We’ll help schedule a convenient time and place – you will help inspire a love of reading in local children! 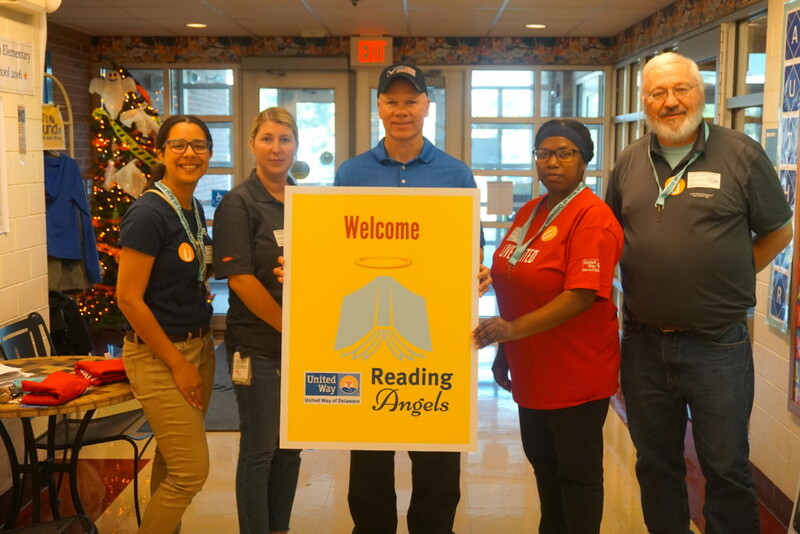 Ballard’s Reading Buddies connects adult volunteers with young readers in a school-year-long effort aimed at promoting meaningful gains in the reading skills of specific children who may need more individualized attention to improve their literacy. Ballard’s Reading Buddies is named in memory of Corporal Stephen J. Ballard, a Delaware State Trooper, killed in the line of duty on April 26, 2017. Our My Very Own Library initiative allows students in 14 Delaware Schools to select 10 books for their home library. Research shows when kids have books in their home, they are more likely to succeed. We have distributed over 200,000 books to date. Each participating school conducts community engagement events, and book fairs that connect students, parents, teachers, and families. Extra help from caring individuals helps drive this initiative. United Way of Delaware values the unique skills of caring community members who want to give back and contribute to our professional working environment. Whether you’re a college student or a retiree, United Way of Delaware is a platform to use your talents to do good for others.